This is the complete guide for anyone interested in mouldmaking and modelling. It is ideal for any purpose, whether for making repairs to picture frames or designing a pottery tea set, making a sculpture, creating shapes for printmaking, making a toy soldier, or even making chocolate Easter egg moulds. Highly illustrated, the book is filled with step-by-step instructions that guide the user through the process of making first-rate moulds and models. A wide variety of materials suitable for moulds are discussed including alginate, plaster, latex, resin, silicone as well as the equipment needed. There are also useful charts which show which types of moulds should be used for different materials such as chocolate, wax, plaster, lead and resin. 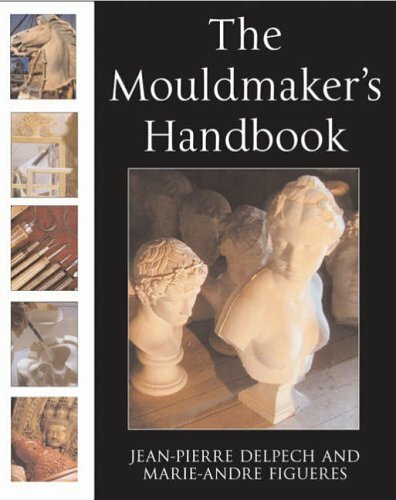 All in all, this is an indispensable guide to the process of mouldmaking and modelling and it should be on the reference shelves of all mouldmakers- amateurs and professionals alike.